"Despite the burden of the past agreement being an official promise between the two governments that was ratified by the leaders of the two countries, I, as President together with Korean citizens, reaffirm that this agreement does not resolve the issue over comfort women," said President Moon Jae-in on Thursday in response to the announcement of a special task force for investigating the 2015 South Korea-Japan agreement over South Korea's "comfort women" issue on Wednesday. Moon's statement was issued Thursday by presidential spokesman Park Soo-hyun. The South Korean President said he felt a heavy heart when he was reported on the review result over the 2015 deal. "It has been confirmed that the 2015 comfort women agreement between South Korea and Japan over South Korean 'comfort women' was seriously flawed in regard to its procedures and contents," Moon said in a statement. He hinted that comfort women deal might be renegotiated, saying that it cannot be escaped unfortunately. 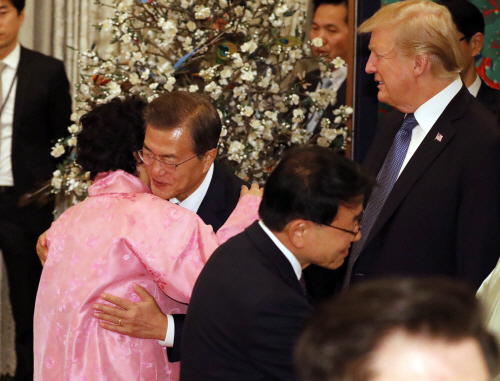 Moon noted that the 2015 deal was not only against the international community's universal principle of resolving historical issues, but also a political agreement excluding the victims and ordinary South Koreans. Criticizing that people were deeply disappointed at the existence of undisclosed agreements, Moon stressed, "We need to face the history when it is painful enough to avoid. Cure, reconciliation and future can begin when facing up to the painful history." To the concerns about the deterioration of the Seoul-Tokyo relations through the announcement on the 2015 deal review, Moon said, "I hope the two countries become sincere friends, overcoming the unfortunate past." The president vowed not to damage truth and principle in dealing with history, but he said that he will try to restore normal diplomatic relations with Japan for future-oriented cooperation separately from the historical issues. Japanese Prime Minister Shinzo Abe, however, has been taking a strong stand since the announcement of the task force team, saying that the agreement "will not be changed by even one millimeter." The presidential office Cheong Wa Dae showed a prudent position regarding whether to cancel the 2015 deal, saying, "Today's statement reveals what the president is looking at the issue. We are not in a stage to give any more significance than that." 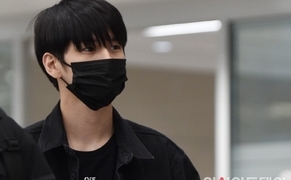 However, the government is likely to present its final position earlier than expected as President Moon called for a follow-up measure to meet the victims' demands.